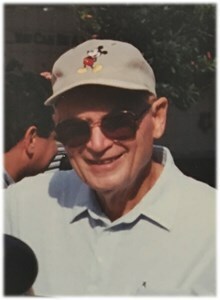 John Francis Roseberry, age 94, of Oviedo, Florida passed away on Friday, November 2, 2018. He is preceded in death by his parents, Father, Walter Roseberry, and Mother, Ruth Roseberry. He is survived by his Wife, Hilda Lydia Roseberry, Daughter, Janet Lydia (Carl M.) Bond, Niece, Linda Lee Balser, Great-Niece, Donna Lynn Balser, and Great-Nephew, Steven Michael (Maria) Balser. Visitation is Thursday, November 8, 2018 from 10:30 am to 11:00 am with Funeral Services starting at 11:00 am at St. Luke's Lutheran Church, Oviedo, Florida. Interment will follow at 1pm at St. Luke's Lutheran Church Cemetery. To share your memories of John or leave a special condolence message for her family, please click the Share Memories button above. Add your memories to the guest book of John Roseberry.